If you’ve researched at all into the world of search engine optimization (SEO), or the wider discipline of search engine marketing (SEM), chances are you’ve found a surprising number of sources aimed at helping you understand and thrive in this constantly changing industry. In fact, there’s so much information out there about SEO that analysis paralysis can quickly set it. So being able to determine which websites are actually worth your valuable time versus which are just regurgitated information we’ve all heard a hundred times (okay, content is king – WE GET IT!) can be a great skill. Who are the SEO industry thought leaders? 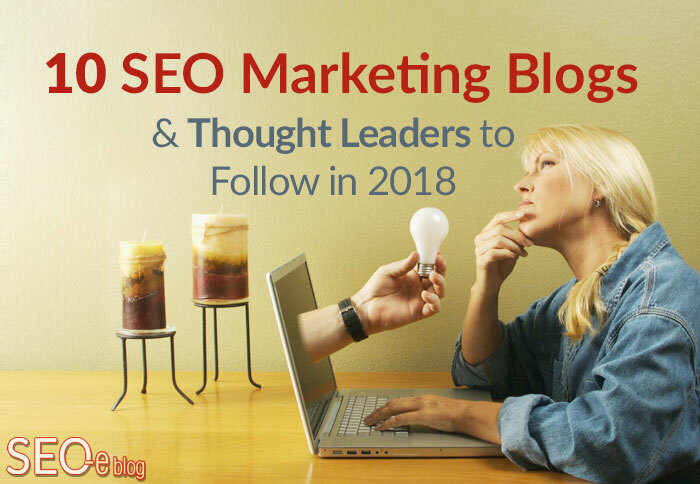 Below, we’ve narrowed down a list of our ten favorite SEO marketing blogs and websites to help stay dialed into important SEO changes, trends and tips. We suggest bookmarking these sites and checking them out whenever you have spare time. These aren’t ranked in any particular order. If you’re wanting to start your own blog, get ideas for crafting more creative and relevant content, or you wake up in cold sweats at night dreaming about plummeting readership, ProBlogger is a great resource. This site is chock full of free, informative guides about social media, blog platforming and design, making money from blogging and more. 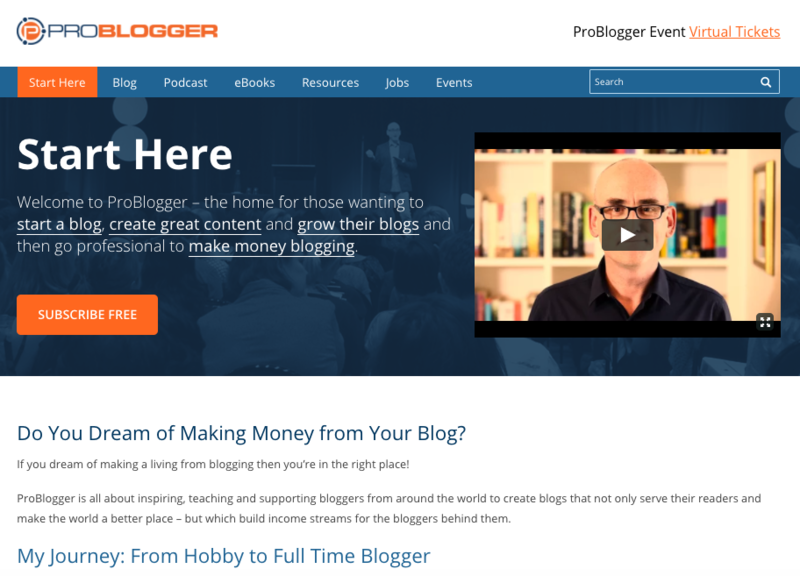 Started by Darren Rowse, part-time hobby blogger turned full-time professional, ProBlogger regularly updates its own blog with handy tips and trick for aspiring content marketers. And if you’re like me and sometimes prefer to lend an ear, ProBlogger has its own podcast that touches on each of these subjects. Got a question or concern about content marketing? Odds are, Contently has the answer you seek. Whether it’s video marketing, Facebook ads, or the latest leaps in marketing technology, Contently’s Content Strategist blog touches on many facets of online marketing strategy. Case studies and webinars are also available. 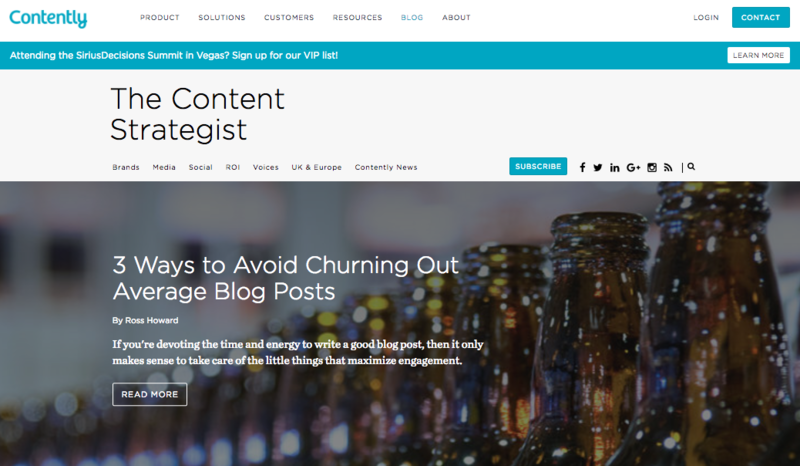 SEJ pulls together its content marketing, SEO and social media articles not only from its in-house writers, but from SEO experts from around the web as well. Any area of internet marketing you could think of is likely addressed on Search Engine Journal. The basics of SEO, analytic help, individual social media platform tips and email marketing strategies are just the tip of the iceberg. One of the most technical areas of SEO to understand is how search engine bots scan and crawl your website. 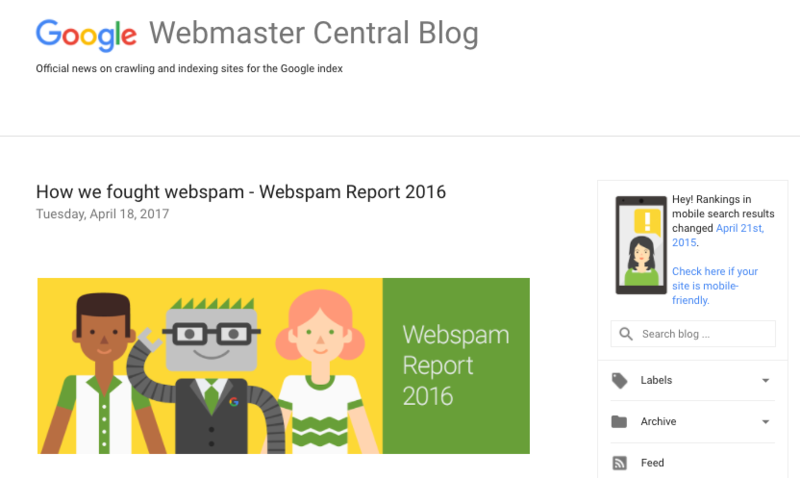 This is where the Google Webmaster Central Blog steps in. Updates to Google’s algorithms are featured here, as well as tips for optimally running and maintaining your website. Straight from the horse’s mouth. Moz and resident expert Rand Fishkin (or the “Wizard of Moz” as he’s cleverly referred to) is another one of our all-time favorite SEO resources. 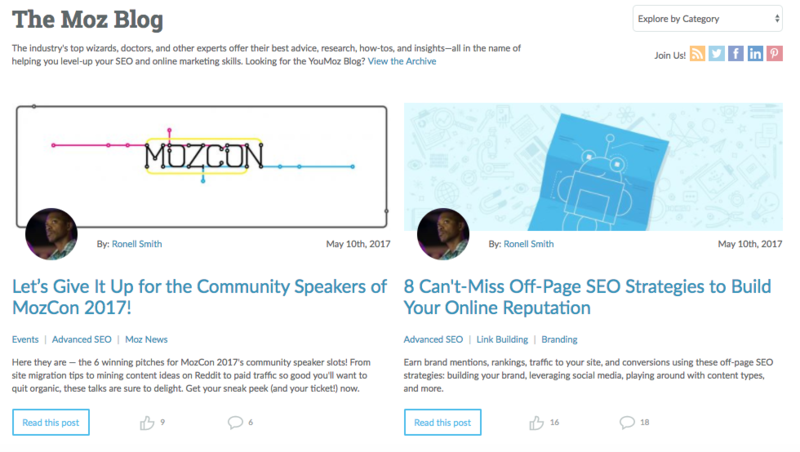 Experts in the industry from around the world contribute to the Moz blog. Beginners and experts alike will find helpful information in areas like linking, user experience, online advertising, content marketing, responsive design and much more. Search Engine Land is one of the most comprehensive SEO sources on the web. Whether you’re concentrating on Google or Yahoo (or even Bing) optimization, Search Engine Land has a continual stream of news and resources to stay informed. Additionally, local search, mobile marketing and B2B marketing are prominent topics within the site. If you don’t mind a paid membership, Search Engine News is a great resource. 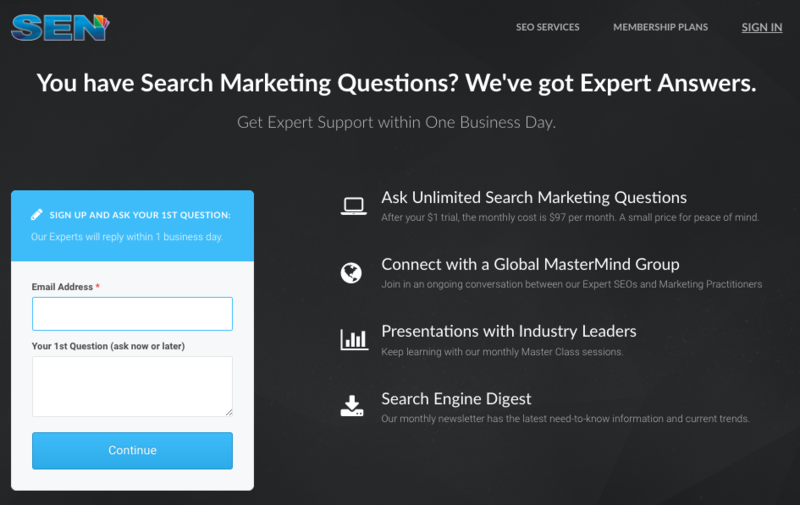 The site includes a feature that allows users to quickly submit a question to SEO experts as well as access an impressive library of e-books and masterclass presentations for more help along the way. You can start a trial membership for $1 if you’re interested. Whitespark concentrates primarily on helping you get the most out of your local SEO marketing efforts. Learn how to optimize your Google Adwords campaigns, local link building techniques, and tips on advancing your website with a local search strategy in mind. 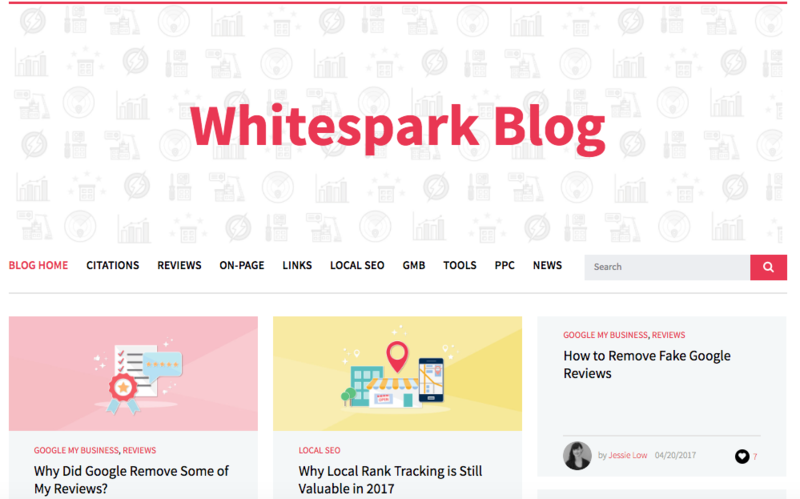 Whitespark also includes features on how to help website owners track and locate any citations of their business and keep up with their local rankings. The SEO world lost a true legend on October 16, 2017 when Eric Ward (also known as Link Moses) passed away. 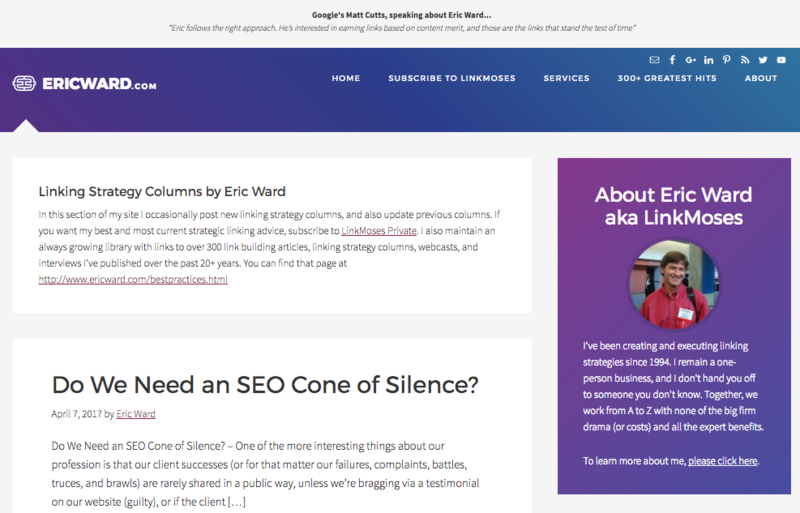 As a link building pioneer, Eric’s website has quite an extensive collection of resources devoted to tackling an often frustrating arena of SEO: link building. He offers free online help articles as well as webcasts and other presentations to marketers interested in learning how he does it. You will be missed, Eric. Link Research Tools offers a wide range of tools to help paid subscribers get the most out of their link building endeavors. However, if you aren’t willing to pay, their free blog is stocked with helpful SEO news and tips to maximize the impact of your links. 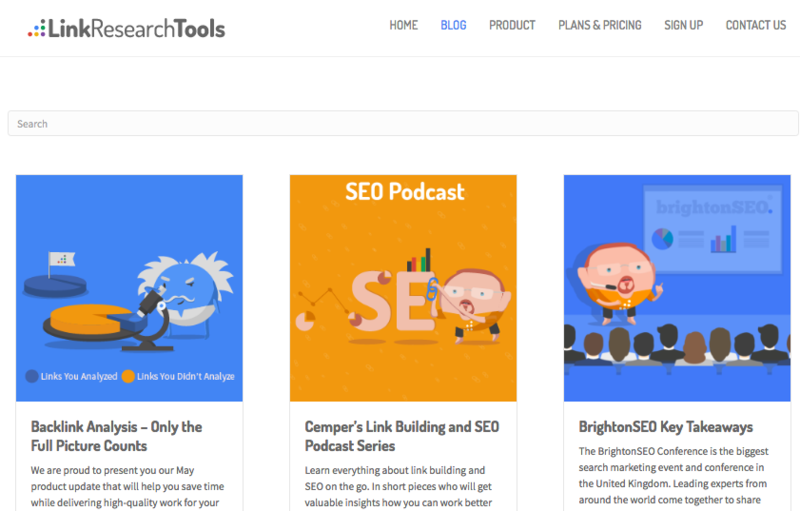 While we hope you found this list helpful, it’s only a small handful of the hundreds of great resources tailored to SEOs and internet marketers – including our very own Knowledge Center. (Shameless promotion…) Whether you’re diving into the SEO game for the first time or you’ve been around since the very conception of the industry like our CEO Stone Reuning, take full advantage of the bountiful supply of resources available to you online. What websites and SEO thought leaders do you follow? We’d love to hear what you’re reading. Drop a link in the comments below or on Facebook. Thanks for tuning in!